It’s been a while since I’ve posted, my apologies… Life has a way of getting busy – I’m sure you understand…. 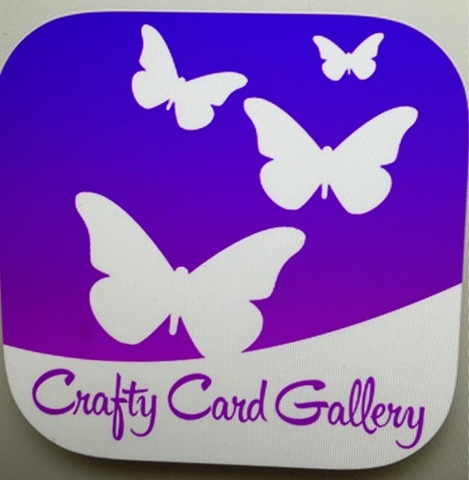 I’ve been a member of Craft and Hobby Association (CHA) for a few years now – and I’m sure you’ve seen my posts in January each year of the big mega show in Anaheim – which is a crafters dream come true…. 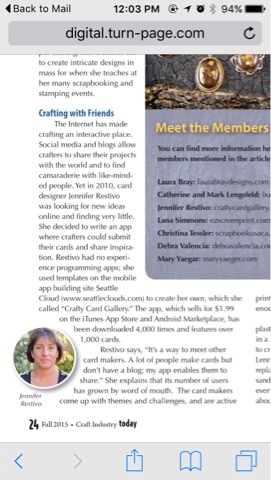 It’s sort of exciting to have the app featured in their magazine! Carmen, who wrote the article was super nice! I’m hoping to meet her in person in January at CHA! Just thought I’d share that with all of you..
And since I haven’t posted a card in a while, here’s a card for you! 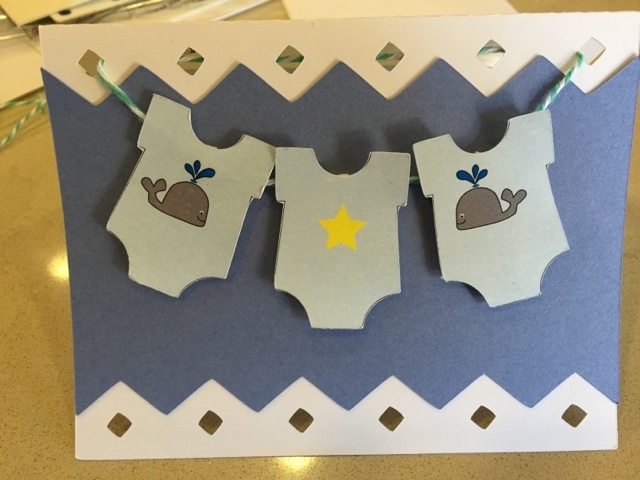 A baby card for my nephews soon to be baby! I can’t believe how old that makes me feel!!! I cut it with my new Curio! Took me a while to figure it out but it was fun!